1) Weigh urgency and importance. We all have things in life that need our immediate attention. We also have things that are important for us to achieve the outcomes we desire. They are not always the same thing. If something is urgent and important, it usually gets our time. However, if it’s important and not urgent it is very easy to not give it the time it needs. Take a look at how you’re using your time. Are the things taking up your time urgent? important? urgent and important? or urgent and unimportant. If too many are in the last category, you probably feel frustrated. 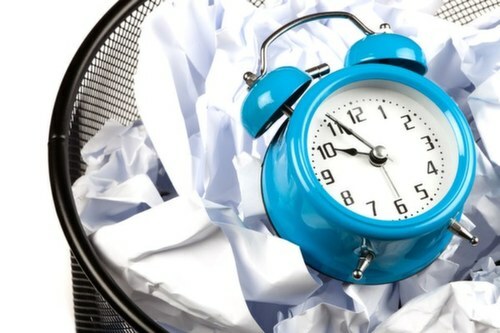 Recalibrate and determine how to move those things off your plate and make more room for the important and not urgent. 2) Build mental breaks into your day. If you don’t build in mental breaks, you become less effective. And more prone to get distracted by Facebook, fantasy football or your text alerts. However, if you know you will be taking break to get your electronic fix, you can spend time truly focusing on what needs to be done rather telling yourself ‘I’ll only take a minute to check…’ Research shows it takes 25 minutes for us to completely refocus after an interruption. So that ‘minute’ becomes more like 30. 3) Create blocks of time for just you. When you lead other people or work in a team, it’s easy to have your time become booked with meeting after meeting or for people to continually stop in because of your open door policy. All of us have work that needs our undivided attention. Build times into your calendar that are sacred so you can focus on that work. Let your team members and other people who may need to know that at a certain time, you’re going to be in your office (or cubicle) with the door (or imaginary door) closed so that you can focus on work that needs your undivided attention. Ask them to please not disturb you unless absolutely necessary. Then close your door and get to work! How Can I Take My Performance to the Next Level? Worried about retention? Some news about millennials Is Middle Management Really Going Away?